Families are invited to take part in a spectacular day of running in Chorley after registration opened for the Chorley Family Run. Anyone aged four and above on Sunday 12 May is welcome to sign up for the family run, which will take place in Chorley town centre on the same day as the larger Chorley 10K race. 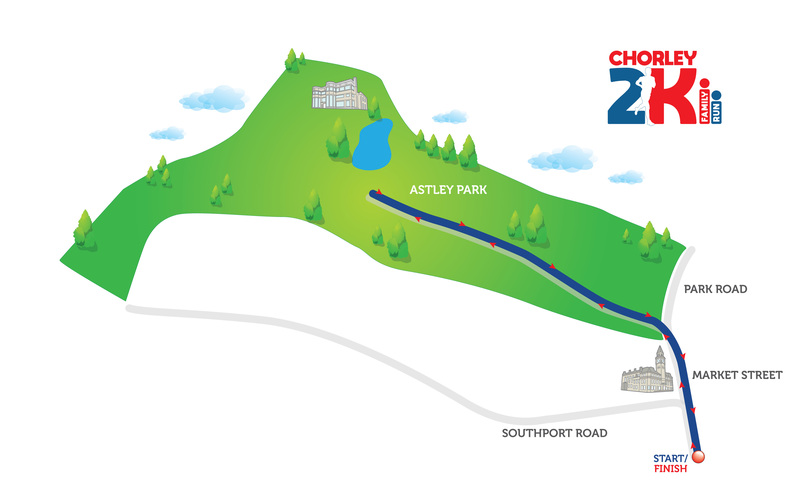 Both races are being organised by Chorley Council with support from Fylde Coast Runners with the family run taking place on a much shorter 2K course that starts and finishes on Market Street in Chorley town centre and takes in Astley Park. Places are available for hundreds of people with the cost just £6 per person, no matter what their age. The Chorley Family Run will see competitors running from Chorley town centre into Astley Park and back again with some inclines along the way. Spectators are welcome to line the route to cheer on family and friends and there will be a medal for everyone who completes the course. Councillor Peter Wilson, Deputy Leader of Chorley Council, said: “We have had an absolutely amazing response to the Chorley 10K with over 1,000 people signed up to run in under four weeks and now we want to welcome younger members of the family to be part of the day too. “The Chorley Family Run will give everyone the opportunity to take part in this inaugural event where they can either run for the fun of it or time and test themselves. Anyone who enters is welcome to raise money and seek sponsorship for a charity of their choice. On Sunday 12 May, some shops will be open for refreshments and a small village will be set up in the town centre with local groups offering advice on running, health and wellbeing.